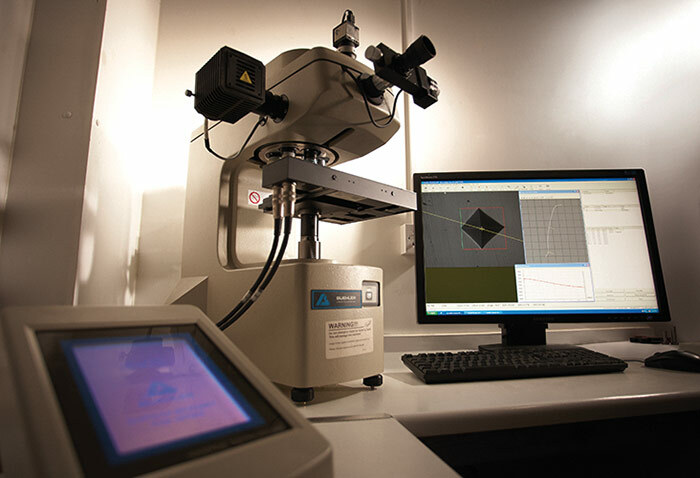 Hardness testing – The latest addition to our laboratory was recently unveiled. The hardness testing equipment purchased from Buehler UK utilises the latest technology to automatically profile the section, allowing for precise location prior to undertaking the required number of tests, with automatic focus and indent measurement before configuring the results and producing either a Certificate of Conformity or report of the results, as required. We pride ourselves on being a company driven by QUALITY and RIGHT FIRST TIME. This latest addition adds to our capability and significantly speeds up the process. If you would like to find out more about our technical and hardness testing capabilities please ring 01484 850361 and ask for our Technical Department.